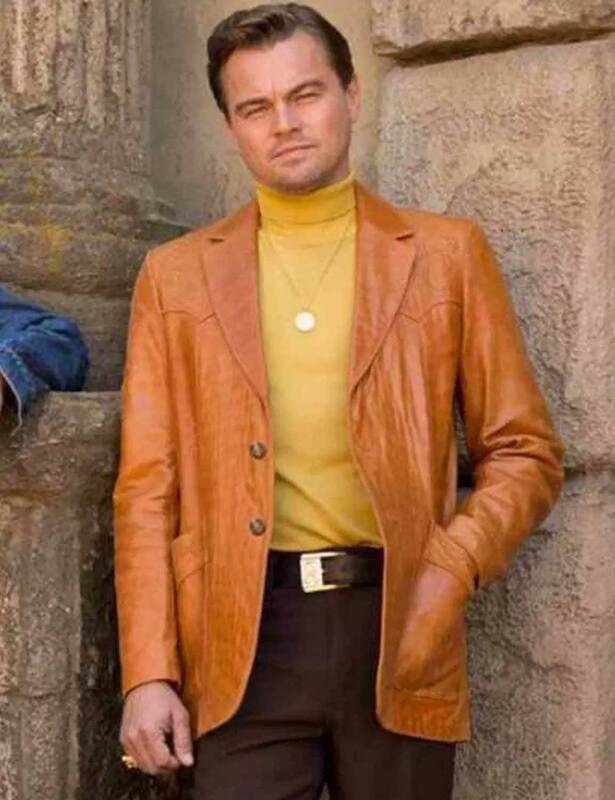 He is one of the most loved actors around the world and he is back to play a unique character in Once Upon A Time In Hollywood. 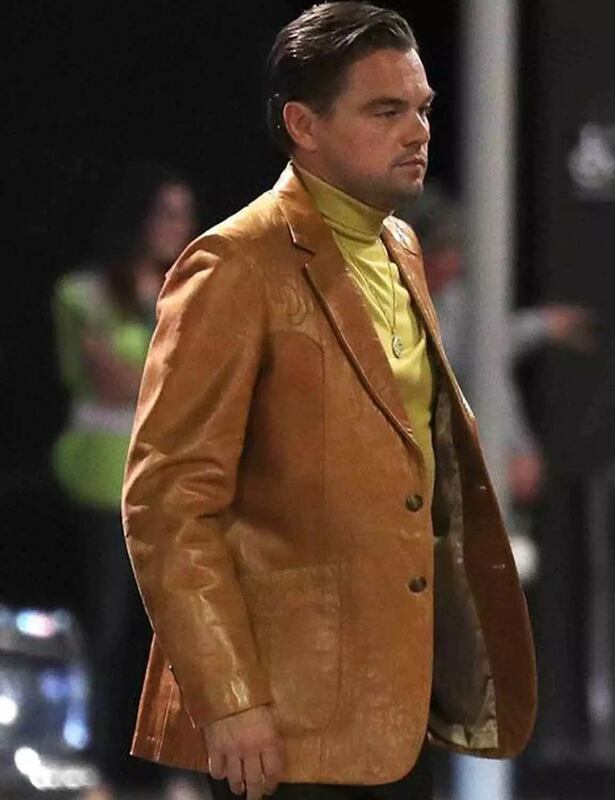 That actor is Leonardo DiCaprio and he will wear the Once Upon a Time in Hollywood Rick Dalton Jacket as Rick Dalton. The real leather makes the Leonardo DiCaprio Once Upon a Time in Hollywood Brown Leather Jacket exterior. There is a beautiful color to make you shine during the daytime and it is highly rare shade for a blazer like this. 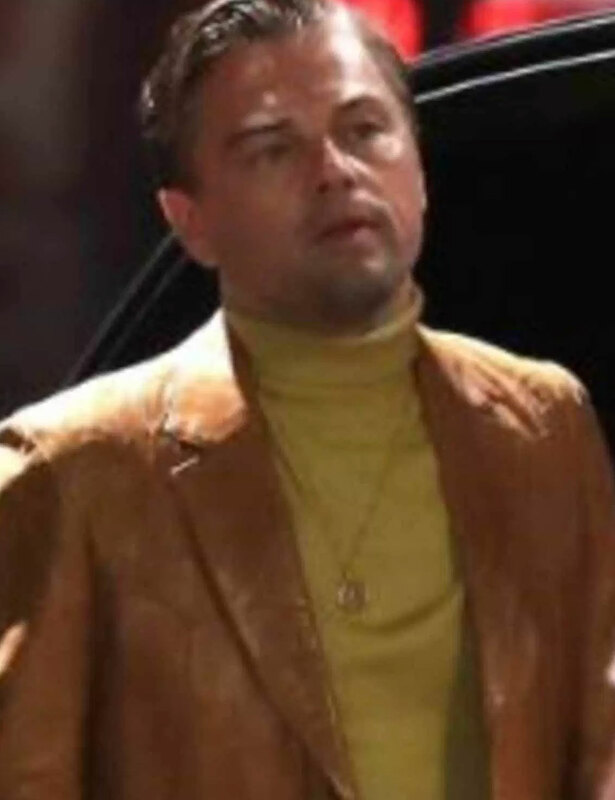 The collar style for the jacket is a peak lapel and is accompanied by the button closure in the front. You can make use of the pockets that have been featured inside and outside.